A 44 year old Chicago bicyclist was struck by an SUV and injured while on his way home from work on February 2nd in the Bucktown neighborhood. The cyclist was riding southbound in the dedicated bike lane on North Damen Avenue at around 6:20 p.m. when he was hit. The driver was stopped in traffic along southbound Damen when, perhaps growing impatient with the congestion, he suddenly peeled-off to the right in an attempt to turn onto West Willow Street hitting the cyclist. The motorist did not signal his impending maneuver and claims that he did not see the bicyclist who was riding with an operating light on the front of his bike and lights attached to his wheel valve stems. Also in the SUV was the driver's wife and child. They told the cyclist they were on their way to the United Center for an ice skating show. Despite the cyclist's split second effort to avoid the collision, the SUV banged into his left knee, the impact throwing him to the ground. Immediately following the crash, the bicyclist attempted to stand but was unable to put any weight on the injured knee. He was transported via ambulance from the scene to Resurrection St. Mary's Medical Center. He is still undergoing treatment. 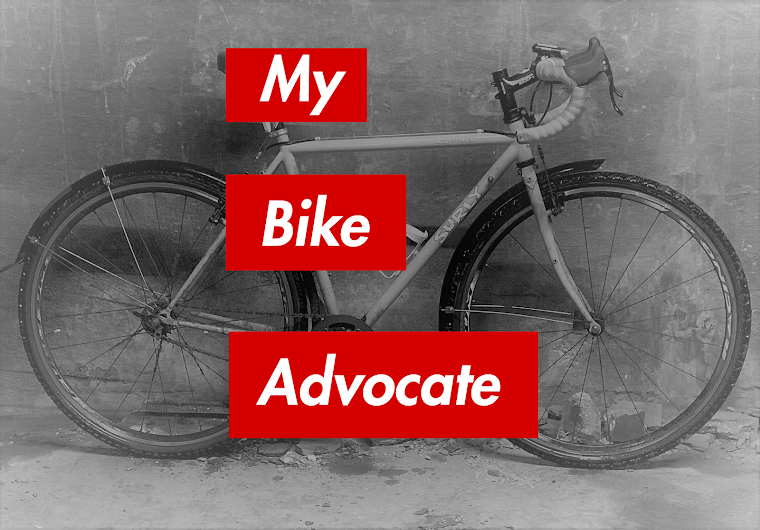 My personal injury law firm is representing the bicyclist.